Arkwin Industries is THE technical expert in all things hydraulic for aerospace and defense. We design, test, manufacture, and support precision hydraulic and fuel system components for civil and military fixed-wing aircraft, helicopters, spacecraft, turbine engines, and other special applications. We have grown from a start-up company in 1951 in rural Kansas to a modern, multi-faceted organization headquartered in Westbury, NY, just outside New York City. Our reputation for quality and reliability, as well as our location, allow us to attract some of the best engineering, technical, and manufacturing talent available. Arkwin founded in 1951 in rural Kansas by Dan Berlin, an engineer from New York. Soon after, the company receives its first order from Boeing for the B-47 Stratojet strategic bomber. Mr. Berlin moves the company to Westbury, NY. Sales reach $1M in 1961. The company designs and manufactures parts for the General Dynamics F-111 Aardvark tactical aircraft, the Grumman F-14 Tomcat fighter, General Electric’s CF-6 jet engine, and Lockheed’s C-5A, which was the largest cargo plane in the world at that time. In 1974, we were selected by Rockwell International to design and manufacture filters, reservoirs, and valves for NASA’s space shuttle. Arkwin participates in important military programs such as the General Dynamics F-16 Fighting Falcon, McDonnell Douglas F-18 Hornet, Sikorsky’s CH-53 Sea Stallion heavy-left transport helicopter, and the Sikorsky S-76 Pedal Damper, Reservoir, and Landing Gear Control Valve. Other major programs include Emerson’s TOW missile launcher and General Electric’s T-700 engine. 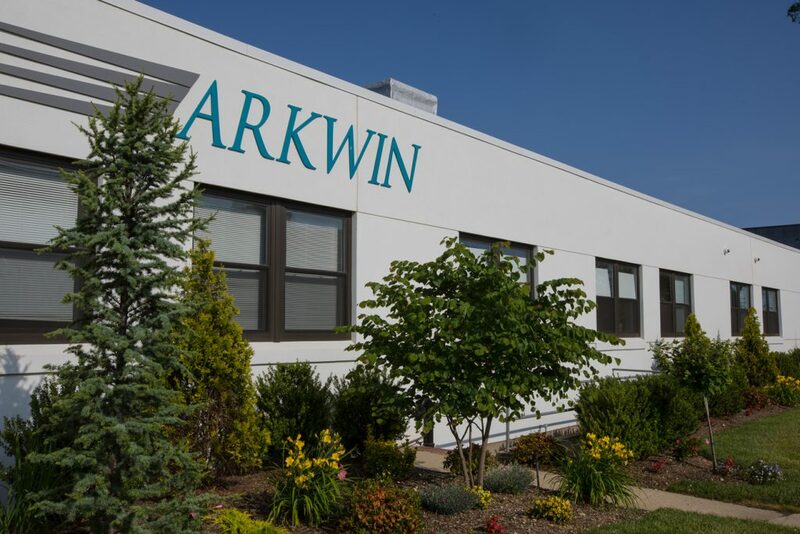 Arkwin significantly expands its manufacturing capacity in Westbury to a ninth building as new contracts are won for major programs, such as Boeing’s 737 and 757 airframes. Arkwin parts are selected for America’s most advanced strategic airframe, the Northrop Grumman B-2 Spirit Stealth bomber. In the mid 80s, we are awarded the Engine Air Particle Separator Valve and the Ramp Door Actuators for the V-22 program, a 5,000PSI system. On the engine side, Arkwin wins the Variable Stator Vane actuator for the CFM-56 engine, which is used on the Boeing 737 and the Airbus A320. Arkwin completes its first international program with Israeli Aircraft Industries Westwind business jet. Ray Boushie is appointed President as Dan Berlin, our founder, remains the CEO. In 1994, Airbus selects Arkwin for critical parts for the new A340. As the decade comes to a close, Arkwin parts are selected for the new Boeing 717 Thrust Reverser Actuation System. Arkwin also starts a new relationship with Hamilton Sundstrand for RAM Air Turbine Actuators, the first being for the A320. In 2002, Arkwin works with Eaton Aerospace and Lockheed Martin to engineer 19 parts for the next generation F-35 Lightning Joint Strike Fighter. Arkwin also continues working with Northrop Grumman on the B-2 enhancements and was awarded additional actuators for the program. Arkwin continues the relationship with Hamilton Sundstrand as we are awarded the Ram Air Turbine Actuators for the Airbus A330/340, A350 & A400M; Gulfstream G650, Dornier 728, Boeing 787 and 747-8. Arkwin continues its strong relationship with Sikorsky as we are awarded the CH-53K Ramp/Ramp Door Actuation System along with the reservoir for the new Joint Multi-Role helicopter. Arkwin continues its relationship with Boeing, as we are awarded the Ram Air Turbine Actuator for the 777X program. Arkwin also is awarded another Ram Air Turbine actuator for the Airbus A350 program through Hamilton Sundstrand. We formed a new relationship with Embraer as we were awarded the reservoirs for the E-2 aircraft. We were also awarded the Reservoir, Speed Brake Actuator and Landing Gear Control Valve for the Honda Jet HA420.